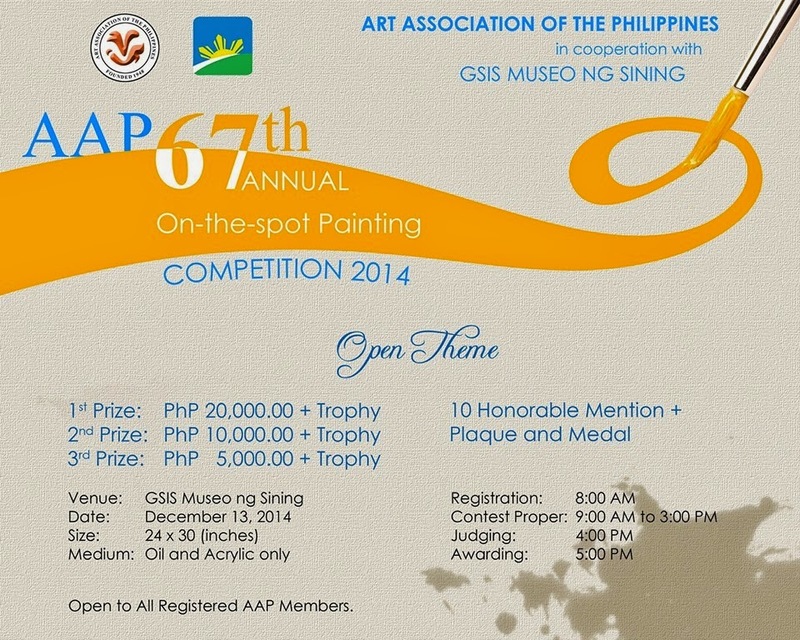 Art Association of the Philippines (AAP) holds 67th Annual Art Competition (2014) on December 13, 2014. This time, it's an on-the-spot painting competition. The contest is open to all registered AAP members.